Summer has gone by way too fast. The fall terms at both Torrance and the South Bay Ault School (SBAS) begin very soon. In fact, SBAS classes begin in less than two weeks on September 8th, and Torrance one week later. Time is running out to register for these classes. To see the schedule and descriptions for the classes I will be teaching at the South Bay Adult school CLICK HERE. For the classes I will be teaching at Torrance CLICK HERE. Don’t be left out. Register before it is too late. I hope to see you in one of the classes. 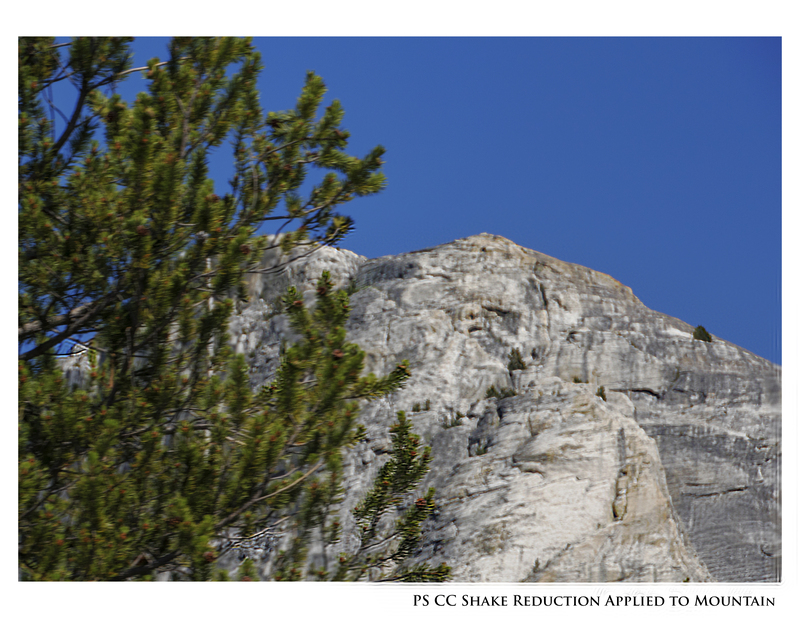 The figure below demonstrates the power of the Photoshop CC (2015) Shake Reduction filter. The photo was taken out of a side window ftom a car travelling at freeway speeds. Obviously the trees in the foreground were blurry, but also the mountains in the background were also blurred. 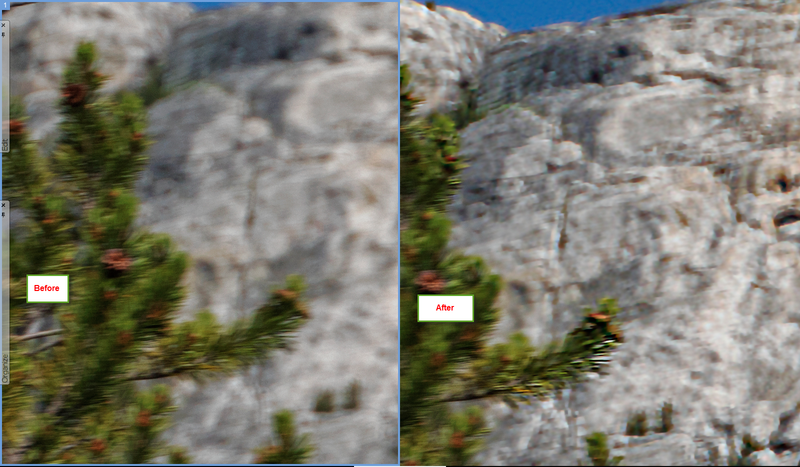 I processed the photo using the default filter settings after repositioning the focus point slightly. The focus point was positioned so it only used the mountains. Doing this did significantly blur and make ghost images on the trees in the foreground. I then masked these out. From this one, quickly produced example, it is obvious to me that this filter will be a very useful tool. Here is a short video that describes the Lightroom on Your Laptop class I will be teaching at Torrance in September.